Native advertising spend is forecast to grow by 156% over the next five years and reach €13.2bn by 2020, according to a new report. The study, from Yahoo and Enders Analysis, was released at Mobile World Congress, indicating that native ads will account for 52% of Europe’s digital display. It also shows that native advertising is forecasted to grow to £2.8 billion in the UK by 2020, rising from £1.2bn in 2015. The report explores native advertising’s explosive rise across 19 European countries, with particular focus on smartphone and tablet usage in each region. The report assesses native ad formats and platforms including mobile, social, video, PC display and widgets and also explores how native advertising will lessen the impact of ad blocking. The report, ‘Native Advertising in Europe to 2020’ forecasts sharp growth in spend on native advertising in the next five years, anticipating it will account for three quarters of net growth in internet display. The report attributes native advertising’s explosive rise to shifting user behaviour, particularly increasing use of smartphones and tablets for content discovery and consumption. As a result, the majority of growth in native spending will be on mobile, with €8.8 billion of spend forecast across Europe by 2020 - almost six times the €1.5 billion spent in 2015. Increasing content discovery via social media platforms will be a major growth factor, driving more than 300 per cent growth in native social network advertising by 2020, from €2 billion to €6.3 billion. In addition, surging digital video consumption will more than double investment in in-stream video ad formats, increasing from €2.4 billion in 2015 to €5.1 billion by 2020. Examining the digital advertising landscape across 19 European countries, the report assesses native ad formats and platforms including mobile, social, video, PC display, and widgets. It underlines the benefits of native advertising for publishers, who see the creation of unique formats as a way to distinguish their offerings, and for advertisers and agencies as a way to drive greater performance and efficiency. The report also highlights native advertising’s potential to lessen the impact of ad blocking, given its lower susceptibility to ad blocking software. While not entirely immune, native advertising presents a compelling opportunity for the industry to set standards for this still-young format based on user preferences, giving people less reason to block ads in the first place. Yahoo’s own native advertising platform, Yahoo Gemini, is a unified marketplace for native advertising across devices. Yahoo Gemini helps advertisers target, reach and engage relevant audiences to drive measureable results. ‘Native Advertising in Europe to 2020’ was compiled using a combination of industry data and interviews with key media and agency leaders. The report explores native advertising in key European markets and Europe as a whole, and also draws on additional data on underlying internet access, device penetration, and time spent online. 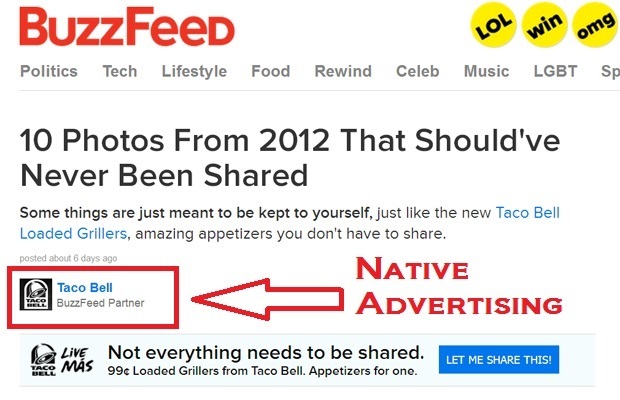 Native online advertising is defined as advertising that is native to the property where it appears. It is advertising that fits in and matches the content around it, rather than being tacked on to the side or popped up in front of other media. The forecasts cover the main devices used to connect to the internet, specifically desktop and laptop PCs, smartphones and tablets.